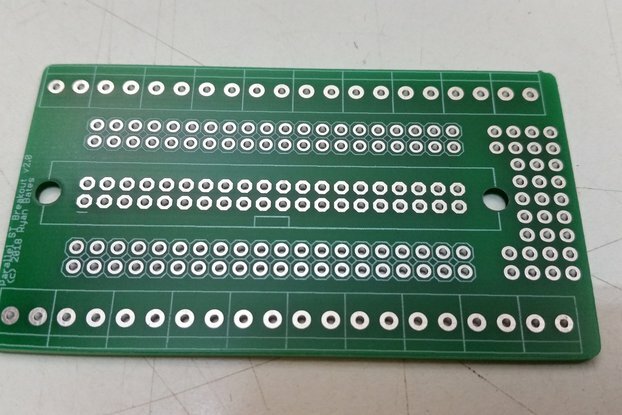 Pick from a single bare board PCB, or PCB with headers (kit), or kit with LM2596 module. Thank you for supporting Retro Built Games on Tindie. This PCB simplifies the task of distributing power to a mini-arcade built with a Raspberry Pi or other OEM electronic parts. 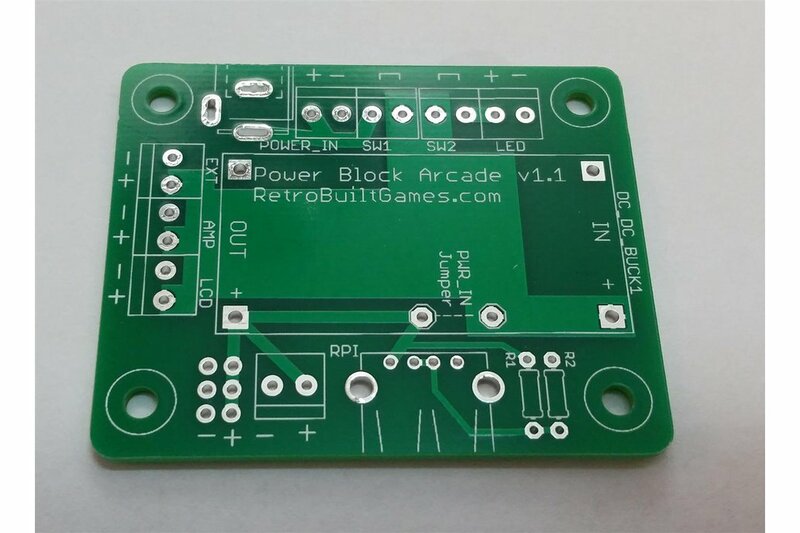 The Power Block Arcade distributes input power to screw terminal pairs. 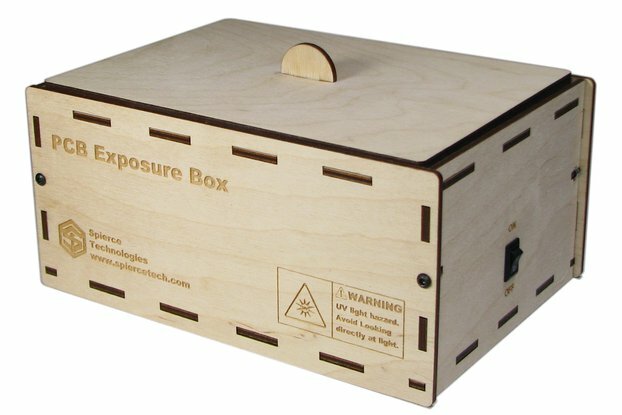 The goal is to simplify wiring to an arcade's main components: LCD, amplifier, marquee back-light, and Raspberry Pi (or other single board computer). 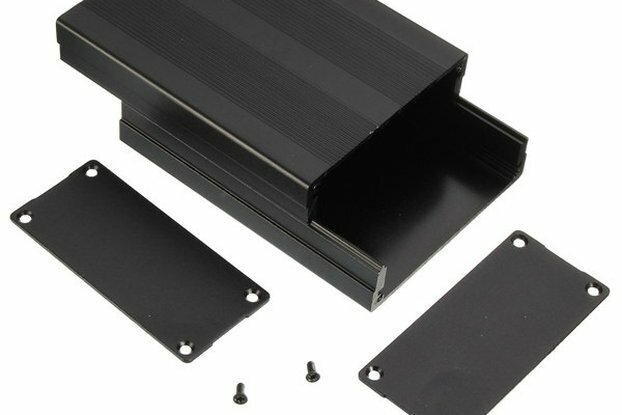 This PCB is just a glorified hub with easy terminations for wire pairs or dc pigtails to make the wiring task easier. This PCB can accept a common adjustable DC buck (step-down) converter module (found on discount electronic distributors) for those who want to use a 12V DC input on their arcade. Switch jumpers are brought out to screw terminals to incorporate on/off switches into their arcade or project design. Having built a few hundred mini arcades, the task of wiring OEM electronic parts was cumbersome inside a small space. This PCB simplifies the task and cleans up the wiring job inside my mini arcades. This PCB can accept the common adjustable LM2596 DC buck (step-down) converter (found on discount electronic distributors) for those who want to use a 12V DC input for their arcade. With the adjustable module this PCB becomes a universal PSU hub for many hobby projects that need power. This PCB is stack-able to construct a multi-voltage power supply. If you solder the appropriate resistors this PCB also functions as a high-current USB charger. Resistors are not included.